In Nintendo's homeland, the Switch has continually reinforced its position as the top video game system on the market. Within less than two years, it's now shifted more than six million units. 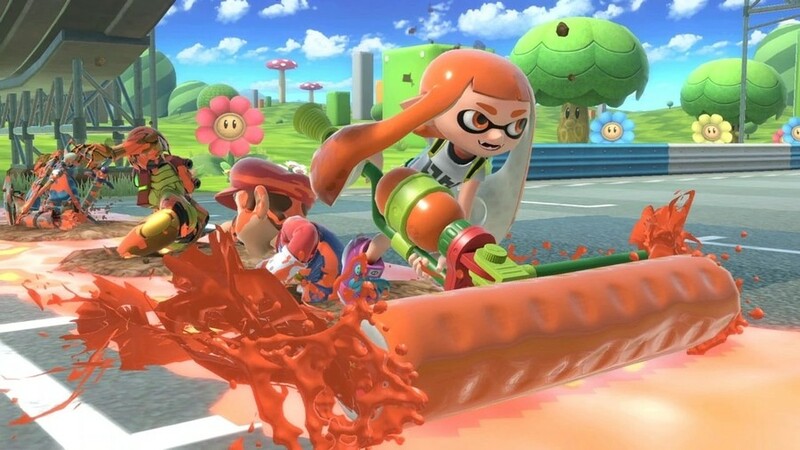 The recent release of Super Smash Bros. Ultimate has further increased sales domestically. Pokémon: Let’s Go, Pikachu! and Let's Go, Eevee! Taking into account Minecraft's availability on the Switch, it means there's really only one game on this list that isn't available on the hybrid platform - Capcom's Monster Hunter World. 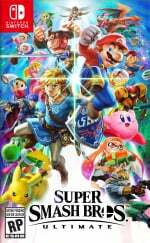 What do you think about Nintendo exclusives dominating the charts within Japan in 2018? Tell us below. I think capcom are silly for not supporting switch more. Non-Nintendo companies should leave Japan looking at those results. @sandman89 Huh? There is nothing indicating that, all signs even point to the contrary, except for Devil May Cry 5, but there I blame the dev cycle than anything else. If there’s a third party exclusive for the Switch I’m surprised doesn’t exist yet, it’s a new (truly) exclusive Monster Hunter game. At the very least, this has to sting them a bit. Don't get me wrong, I have nothing against Sony. I think they make fine products for the most part. But when push comes to shove, I have almost always preferred Nintendo's hardware with Sony being my second choice. The only exception was the Xbox 360 era, where the majority of my gaming was on that machine. Glad to hear nintendo switch has many fans in japan. @Mrtoad they're going to make one I guarantee it. Good stuff. Japanese gaming is finally fantastic again. Nintendo, Capcom (kinda, MTX in DMC5 doesn't sound good), and even Sega have been improving drastically lately. @Heavyarms55 Yes, the PS4 is a dead horse, that’s why God of War won Game of the Year and Spider-Man has almost sold 10 million copies. Just because Nintendo is best in Japan, doesn’t mean Sony doesn’t dominate elsewhere. @TheFanatic Both great games. But that doesn't change the fact that PS4 is fading fast. And there is nothing wrong with that. It's getting old. @Heavyarms55 @TheFanatic Sony did in 2018 what Nintendo did so well in 2017 - stuff the year with great exclusives and dominate media coverage and player discussions. Just as was the case with Nintendo's 2018, Sony will have a mediocre lineup of new content in 2019. You simply can't release Zeldas or God of Wars every year. Sony is well aware of that; instead of disappointing everyone at E3, they are skipping it. @TheFanatic @Heavyarms55 This is the problem with fanboyism. On Push Square we get Sony fanboys mocking Nintendo for not getting all 3rd party games. On NintendoLife we have Nintendo fanboys saying PS4 is a dead horse. The reality is that Nintendo is doing very well for itself in Japan. To the point where it will dominate that region. In all other regions it is having good success but has a long way to go to catch up. Sony on the other hand has an established base worldwide with the largest gaming community. PS Plus subscriptions dwarf Nintendo and Microsoft’s combined. Neither of the consoles is struggling. They appeal to different markets and as someone who owns both, I am in a very good position because I can enjoy the best of both worlds. There is no reason to take things to extremes. Just because one does well doesn’t mean the other can’t. Neither company are struggling. @Kienda You seem to think I am bashing on PS4/Sony or denying their success. I am not. But I am not wrong. The PS4 is done. It's past it's prime and is on the way out. It did very very well, has a wonderful library of games and a vibrant community. But its on the downward slope, is past its peak, and will never reach that peak again. Whereas the Switch is still on the rise. Everything peaks. The Switch is climbing still, the PS4 is past its peak. But Nintendo has a long way to go, if the Switch is gonna come close to matching the PS4's peak. And even this "fanboy" (lol, load of crap - that assertion) doubts the Switch will reach those heights. I doubt that the Switch rise will continue, at least at this rate, if Sony drops as PS5 with the same high production quality and game quality that the PS4 had at its peak. @TheFanatic Unless I am vastly misinformed, Sony isn't coming to E3 this year. If they were, I'd have not made the comment I did. Nintendo switch is now over 7 million sold units in Japan not 6 million. @sandman89 this year already has three Resident Evils and Dragon's Dogma slated on their Switch menu, as well as the first three Ace Attorneys compiled yet again and a new Ace Attorney confirmed in the works. Hardly qualifies as "no more support" unless in the minds of the memetic anti-port club who think that their Backloggery completion lists represent the world's. I know this doesn't contribute much, but wow. That's certainly something! @Heavyarms55 No, you’re right. Sony is skipping E3. Regardless, it won’t be until then that the drought truly begins. @TheFanatic Not as far away as it sounds. Trust me. Given the astronomical sales figures for games like Red Dead Redemption 2, God of War, and Spider-Man, I can only guess that Sony has a much larger presence outside Japan then within it, which is strange, as I always assumed only Microsoft had troubles in Japan, but I guess I was mistaken (either that, or the games in question are simply not interesting to Japanese audiences in general). I'm also a bit surprised to see Octopath isn't on the list, but I guess it just didn't do all that well there. Still, a good showing by Nintendo, despite it's 2018 lineup not quite hitting it out of the park as much as it's 2017 one. It only took one moth to rock the entirety of Japan. Samashing results if you ask me! Problem is that third party games are hard to sell well on Switch, cause most people buy Nintendo systems to play Nintendo games. Minecraft is the only non Nintendo game on the list other than MH World. MH world sold very well on Europe and US too. PS4 continue to sell better in Europe than Switch. We don’t know the figures for Switch Online take up. All Nintendo said was half of subscribers took the yearly option. They refuse to release subscriber numbers, from which you can draw your own conclusions. @TheFanatic I would be very surprised if more than one of those games show up in 2019. But hey, let's hope - I enjoyed Sony's lineup in 2018 a lot. If both Nintendo and Sony deliver a great year, the better for the gamers. I just can't imagine that either publisher can repeat what Nintendo had 2017. A lot of people thought that, mainly because of the way it was reported. Someone else pointed it out to me TBH. I think it’s one where if subscriptions had gone really well they’d be broadcasting it from the rooftops, as it they’re being a bit coy as why’re entitled to of course. That's very good to hear! In my opinion, the Switch is the only console worth owning in this generation. Here's hoping that we get a new Wario Land game sometime! F*%k Sony! Nintendo's dominance is just starting! I'm not disagreeing in full, but I believe the true problem with this is that there are hardly any major 3rd party exclusives on switch, and the 3rd party titles that do come out are ports or delayed titles. @Janus1986 Yep, Nintendo had a killer 2017. No doubt about it. @TheFanatic That's correct, but the japanese are extremely nationalist. They do care about their results overseas, but they care even more about their results in their home country. The PS4 might have a bigger install base overall, but the Switch is getting closer, especially in Japan. Sony doesn't want that to happen, and I'm sure they'll do whatever it takes to prevent Nintendo from taking the best selling console spot in Japan. @gortsi even at 40% they have 33.9 million PS Plus subscribers, which is about 10 million more than Switch has consoles. So if half of Nintendo users have it, that gives them about 11.5 million online users. About 1/3 of the PS4 online user base. So I still think “dwarfs” is the right word. @Heavyarms55 well I wasn’t meaning to be so negative towards you. So I do apologise for that. Your subsequent comments and edits helped clarify your views. I still think there is a lot of life left in the PS4. Maybe it has peaked, it had a drop of about 200,000 subscribers last year on PS Plus, but they have still maintained 33.9 million subscribers, and that doesn’t include non PS Plus gamers. So whilst it may have technically peaked it will still be stronger than the competition for a number of years, which makes it far from a “dead horse”. I don’t think this year will be as strong as 2018 or even 2017 for Sony, so this really is Nintendo’s opportunity to take advantage, release some big games and catch up ground. Like I said before, I am enjoying this from both perspectives. @Kienda "Dead horse" was clearly a poor choice of words. I do agree that the PS4 has life left. Popular consoles linger well past their peaks. As can be seen with people still enjoying Xbox 360, PS3 and Nintendo 3DS. That said, I do firmly believe that the PS4 is well past its peak and I think that Sony agrees with that assessment. If they still intended strong support, I can't imagine why they would skip E3.